This volume of the Ethiopiques series is the one that veers closest to what we think of as the traditional modern sound of Africa. 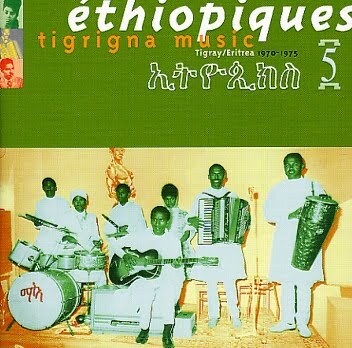 The cycling stringed instruments, the chanting vocals, the handclaps, all remind one of juju music. Not that that's a bad thing. In fact, this might be the best single disc of traditional African music to emerge in the years prior to 2001. Most of this music is from the northern region of Eritrea and marked by a ring of singers and dancers who gradually increase the speed and complexity of their clapping and ululating to the point of frenzy. This is haunting stuff, not as mind-blowing as the sunglassed funk of the other volumes of the series, but charming in its way and a vital chapter in the musical history of the region.